Wordless Wednesday Aug 6 – Don’t mess with the books! 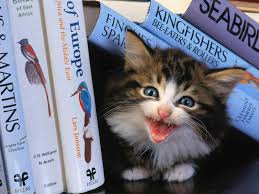 This entry was posted in Wordless Wednesday and tagged books, Cynthia Stacey, Kittens, reading. Bookmark the permalink.